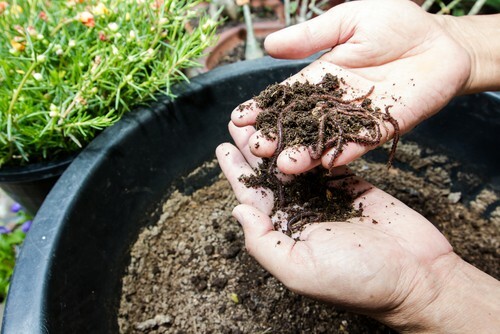 Studies and first-hand experiences have shown the potency of compost in bringing vitality to the garden soil and plants. And the good news is that making compost is easy and environmentally-friendly. 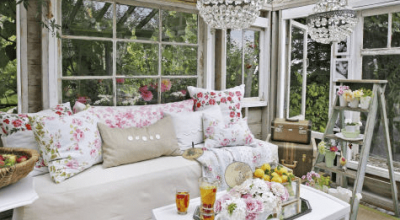 It could be made from kitchen scraps such banana peelings, wood ashes collected from outdoor barbecue grills or worn out pieces of age-old garden table and chairs. There are indeed a great deal of compostable pieces you have lying around but fail to notice. The now damaged parts of your once rattan garden furniture may well be used as plant food if processed properly. 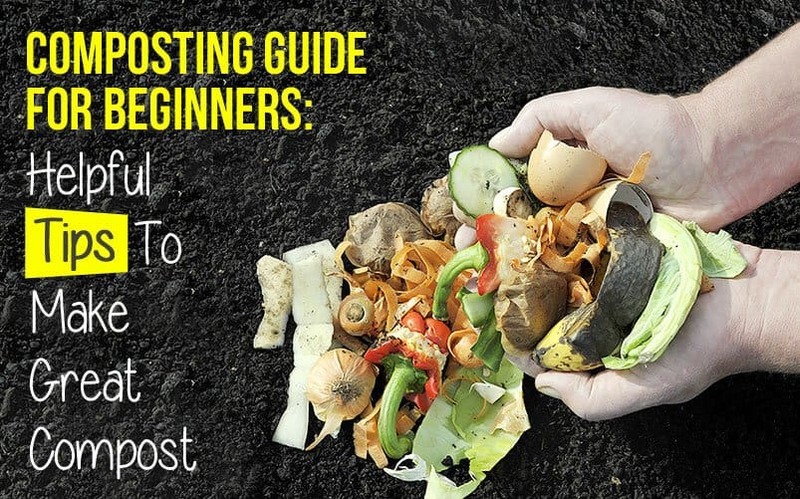 This guide will help you or any beginner to create a compost of your own, rather than purchase from the store. Here you will learn what compost is, how to make compost, what materials to add to your compost and how to build a compost bin. Also, there are helpful reference charts on how to fix common composting problems. With the right choices of materials and following expert tips on composting, you’ll get the most of the benefits from this organic fertiliser. Compost is an organic material produced from heaps of decomposed plant parts and manure of plant-eating animals. 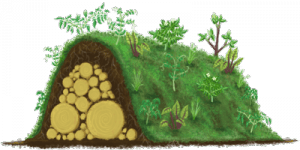 With the help of soil-dwelling microbes, the decomposed materials generate nutrients that plants need for healthy growth. It is basically nature’s way of recycling. How does compost help the garden? Aside from providing nutrients to plants, compost also improves the soil structure by producing rich humus to nurture the ground soil and increase its ability to retain water. It also helps moderate the soil’s pH level. Learning about all these will also help you and even young minds appreciate the world of microbes and how it wonderfully transforms a soil into a productive gardening site. What can compost be used for? Carbon and nitrogen are two of the most important elements in a compost. 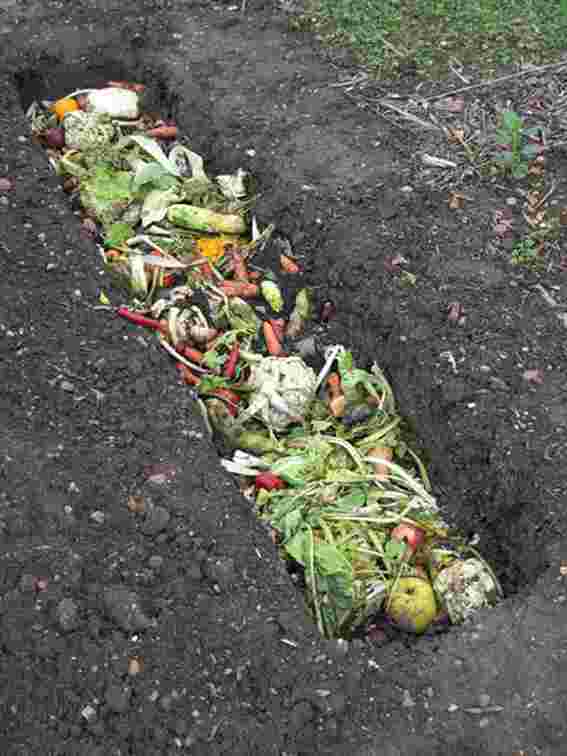 Composting occurs fastest when about 30 parts of carbon are used to 1 part of nitrogen. Straw — Includes oats, barley, wheat and rye. They are composed of hollow stalks, which are good for the decomposition process. Cornstalks, pea and bean vines — They are most useful when dried out. Autumn leaves — Mix in few leaves only as leaves tend to trap air from entering the pile. Hay — This may contain weeds, which may be killed in the heat of composting. Wood shavings and sawdust — These materials decompose more slowly and have a lower pH level than the rest of the pile. For a better mix of organic materials, make sure to blend in proportional amounts of quick and slow rotters. These will give your home compost an ideal texture throughout the heap. Diseased plants — Some plant parts are likely to carry diseases that should not be composed at all. Some kinds of manure — Pet’s manure such as that of dogs or cats may contain diseases or parasites that are harmful to plants and man. Some lawn clippings — Some lawns are treated with herbicides and should not be added to your compost pile. Meat and dairy products — These will decompose but will only attract pests. Compost Thermometer —This thermometer allows you to check the temperature of your hot compost pile so you can tell if the pile needs to be turned or when the compost is full. Six-tine manure fork — This is more like a pitchfork to help you turn the compost pile. Lawnmower — This helps you shred leaves and other compost material. Add the shredded materials to the compost and use rake to mix in. Watering hose — You’d want to water the pile as it needs to be moist at all times. 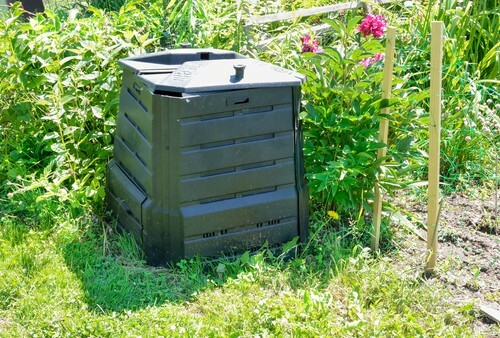 There are several types of bins you can make for your compost. There’s the wooden compost bin, the free-cycle compost bin, the straw bale hot bin and others. All of these will create a nutrient-rich compost. And although a compost bin isn’t required, it makes the job a lot faster and easier. Most compost bins made of wood uses white cedar, which is naturally a rot-resistant wood. Other woods that will work are redwood, tamarack and oak. This bin is good for hot composting and is portable. You start the compost pile by filling one or two sections with organic matter and then stack the next sections with more organic materials. 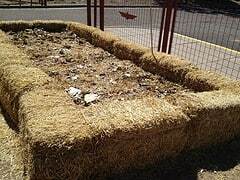 If you have a source of old straw bales, this can make a functional compost bin. The straw bale will hold together longer if the baling is wired. If not, tie twine around it. After a couple of years, the bin will decompose, and you’ll have to create a new bin. For this type of composting, you dig a trench or pit about 8 inches deep. You bury the organic matter below the trench until it decomposes. Nature will do the rest of the work, and all you need to do is build a garden above the compost. The trenching should be done at least two months before you wish to grow any vegetable or fruit. 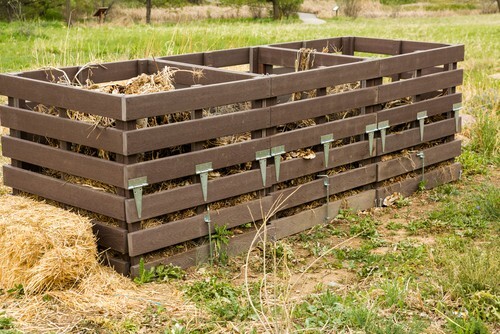 This is one of the easiest and most affordable way to build a compost. Buy a rubber trash can with a secure lifting lid. Use a drill to create 5 to 6 holes in the lid, the sides and bottom of the can. 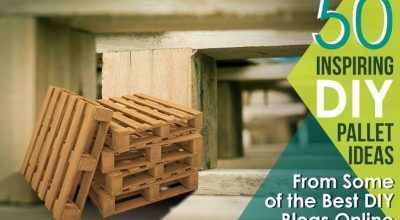 This creates proper air-flow that’s essential for the breakdown of organic materials. This is ideal for gardeners who don’t have the outdoor space for compost bins. You can create a worm bin from a plastic tub. 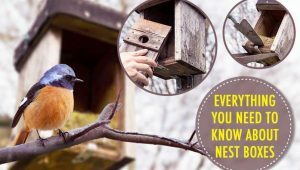 You’ll need shredded newspaper, food scraps, and 10 to 15 dozen worms to eat your garbage. Use only red worms (Lumbricus rubellus) or manure worms (Eisenia foetida). This method requires a lot more attention, but you will get the most fertilised and nutrient-rich soil. If you want to get more serious about composting, then go for the hugelkultur beds or mound culture. This method uses large pieces of wood for long-term decomposition. The humus building process takes place below the ground for years, whilst allowing you to cultivate the raised bed. Choosing your compost method: Hot or cold? A hot compost pile is the best way to produce large amounts of compost in a short period of time. 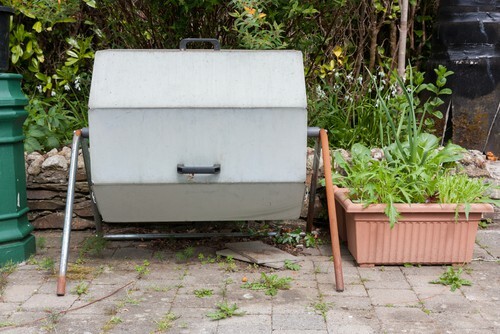 The hot compost has the advantage of killing off many pathogenic organisms and weed seeds that may present themselves in the compost. A hot pile works best if it is made up all at once with mostly nitrogen materials. This is called a garden lasagna because of the multiple materials stacked on top of each other. Start with a layer of straw about 3 inches deep. Add 1 to 6 inches of nitrogen material. The looser you make the material, the thicker amount of layer you can add. Leave room for air to circulate throughout the pile. On top of each nitrogen material layer, add about 1/2 inches of soil. Add another straw layer and keep building in a “lasagna fashion” style until the pile is about 3 feet tall. Make layers of straw, nitrogen materials and soil in a lasagna-fashion until the pile is 4 feet high. Spread the layers and allow spaces for air to circulate through the pile. The compost will need moisture just as it needs air. Add water to the carbon layer, which is the driest, as you build the pile. After you’ve finished the pile, cover it. This reduces evaporation from the top and prevents over watering from rain. Check the hot compost pile regularly and use a compost thermometer to check the temperature daily. The pile should reach 140 to 160 degrees Fahrenheit. If the temperature starts to drop then turn the pile. With each turning, wet the pile as needed, and move the material from the outside to the center. Cold composting takes longer and it doesn’t kill pathogens or weed seeds. But the advantage of cold compost is in its use over time. This kind of composting is ideal for recycling small materials. The bacterial presence in cold piles do all the work and usually don’t heat up past 90 degrees Fahrenheit. Pile organic materials together such as grass, leaves and manure (plant-eating animals only). Once the cold pile is constructed, you can leave it for a while. Monitor the moisture level and add water if needed. After a few months, turn the pile and add water again if necessary. It takes about a year or more for the compost to be finished. Lack of air because of overwatering Add carbon and aerate. The carbon will absorb moisture. Too much nitrogen (if it smells like ammonia) Add carbon and aerate. Too wet Add straw or other carbon materials. Pile doesn’t heat up Lacks moisture Poke holes in a pile so you can water. Pile is damp and warm only in the center Too small pile Gather more materials and make a larger pile. Lacks nitrogen Add nitrogen such as grass or manure. Animals and pests get into the pile Meat or dairy added in the pile Avoid using meats and dairy products. Some material isn’t breaking down Lacks nitrogen and moisture Add water if it’s dry and cover the pile. Add grass clippings or manure. Pieces too large Chop material that is cars before adding it to the pile. After you’ve successfully ‘cooked’ the compost, it’s now ready to be added to the garden soil. Mix or sprinkle it on top of your flower or vegetable plots, rake gently into tree beds, blend with potting soil for indoor plants, or spread among your lawn. Also, be sure to save a bit of the compost for the next batch of garden beds you plan to make.